shape of the famous Swedish 18th century kakelugns. 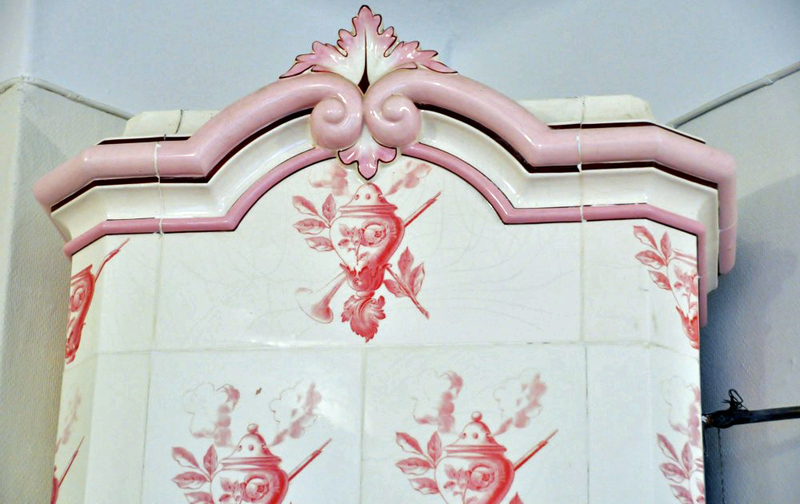 It was designed by the architect Isak Gustaf Clason and made at the Rörstrand tile stove factory in Stockholm about 1900. 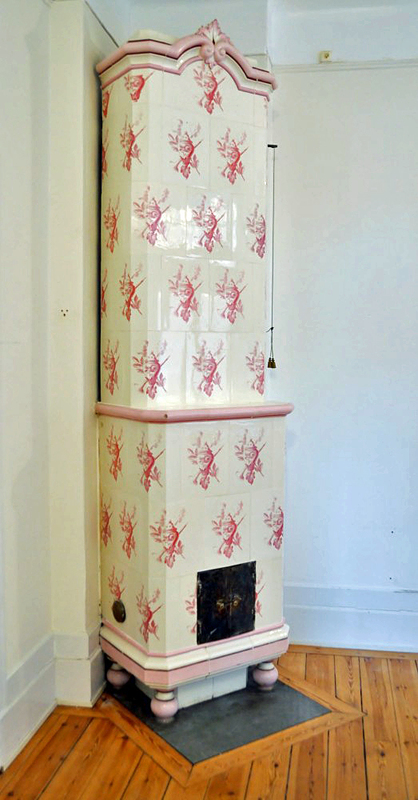 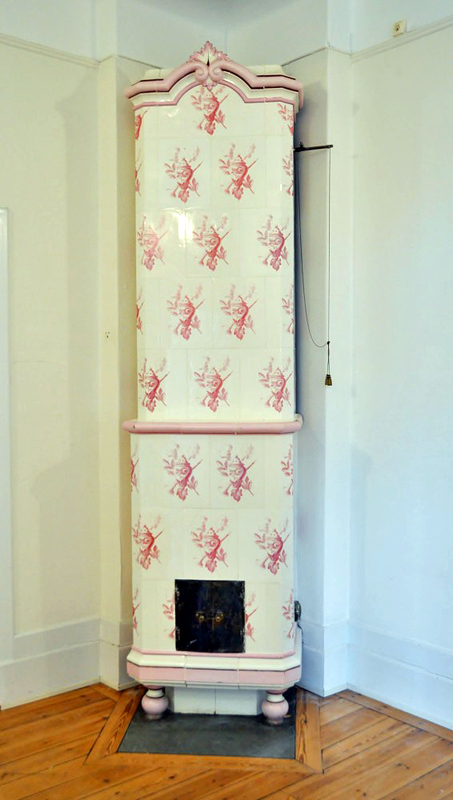 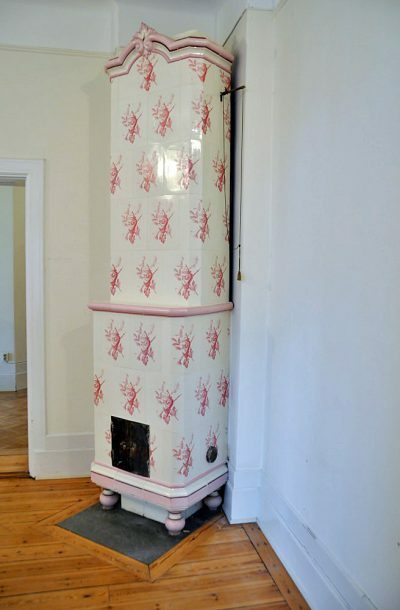 The stove is 310 cm high and have cheramic feet.